I watched Happy Death Day and Happy Death Day 2U in somewhat close conjunction with one another, which made for a somewhat bizarre and disorienting (or weirdly orienting?) viewing experience. A large part of this is due to the eerie, albeit absolutely deliberate, similarities between the structures of the two movies. At their very heart, the central problem is almost the same: Theresa “Tree” Gelbman (Jessica Rothe, La La Land) is stuck reliving the same day. Anyone who has seen Happy Death Day (2017) is familiar with this conceit and with the problems it spells for Tree, a college student. There are the typical Groundhog’s Day-style frustrations of retaining her memories of previous days — falling in love, for instance — while everyone around her forgets. And then there’s the somewhat more distressing problem of the killer in a baby mask, who stalks Tree and murders her every time on the night of her birthday. 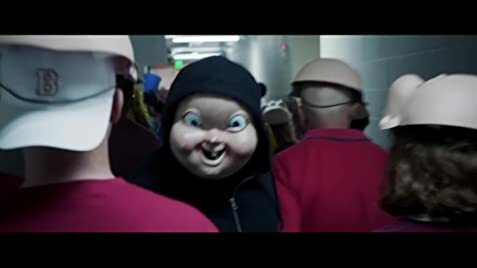 The sequel, Happy Death Day 2U, directed by Christopher Landon and released recently through Blumhouse Productions, presents a new complication. Not only is Tree stuck reliving the same day—it’s now the wrong day. In the completely wrong universe. The film sets itself up in an interesting way, holding a close focus on Ryan Phan (Phi Vu), who had a marginal role in the first movie as the roommate of Tree’s love interest, Carter Davis (Israel Broussard, To All the Boys I’ve Loved Before). It seems at the beginning like the focus of this movie is going to be on Ryan, but this remains the case just long enough to explain to the viewers that Ryan and his science friends are responsible for the strange time-looping that Tree has experienced. After a strange altercation involving multiple Ryan’s and the panicked pressing of Ryan’s student-made quantum reactor, Tree wakes up back at the beginning of the previous day. Only this time, she’s been thrown into another dimension, and things are a little different: The original Babyface culprit, Tree’s roommate Lori Spengler (Ruby Modine, Shameless), is no longer the killer, and Carter is now dating Tree’s sorority nemesis, Danielle Bouseman (Rachel Matthews). Perhaps most significantly, while Tree’s mother (Missy Yager) was dead in her original timeline, she is now alive and well. Tree’s transplantation into this new world kicks off a wild journey, as she is confronted by the simultaneous problems of learning how to navigate the changes to her life in this new world and the implications of those changes, figuring out how to get back to her home dimension (and indeed, whether she even wants to), and solving the Babyface killer mystery all over again. Although interestingly, the latter of these winds up taking something of a backseat. 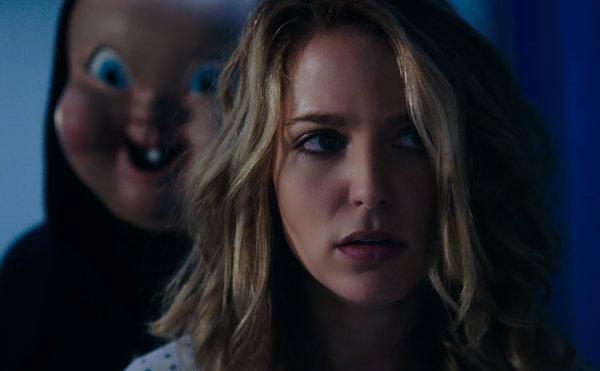 While the original Happy Death Day was a black comedy slasher film, working largely within the sphere of horror, its sequel ditches the horror almost entirely in favor of comedy, emotional drama, and adventurous science fiction. The segues into hallway-creeping and killer-unmasking don’t feel out of place at all, but they also don’t feel particularly haunting or scary, especially not in comparison to some of the emotional scares that Tree must deal with instead. On the whole, Happy Death Day 2U is a success not because it delivers scares, but because it recognizes and builds on the elements that worked so well in its predecessor: comedy, irony, and a real sense of heart that carries emotional resonance. A great deal of this is concentrated in Tree’s character, actualized by Rothe’s wonderful acting; we spend almost the entire movie in Tree’s head, and we’re along for the ride as she finds herself forced to tackle conflict after conflict, eventually having to choose between a life that’s not hers that would mean reuniting with her mother (albeit under somewhat false pretenses) and the world she knows, where her real friends and loved ones are back waiting for her, but her mother is not. The implication that her choice is as simple as her mother versus her boyfriend is a bit of a red herring, and the film tries to stay attentive to this, stressing how the memories everyone else has of Tree in this new dimension don’t align at all with her own. Ultimately, Happy Death Day 2U is an adventurous and captivating success, demonstrating how the continuation of Tree’s story can again have more profound and intriguing implications — not only for her, but, in the end, for the people around her as well.